I have been blogging for one year and a couple of months. I started blogging because I was bored and needed an inexpensive hobby. So, I gave blogging a try and now I am hooked! If you've never been here before, Pawsitively Pets is a blog "dedicated to all things animal". I'm not just a cat or dog person, I'm an animal person. 2. Name one thing about your blog, or one blogging goal that you accomplished during 2013, that made you most proud? There are really so many things that I am proud of with my blog. Since I can only name one, I will say the friends and followers I have gained through this blog and my social media networks. 3. When you look back at last year's Pet Blogger Challenge, or just think back over the past year, what about blogging has changed the most for you? I think what's changed the most for me is the way I think about product reviews. At the beginning, I became so excited when someone contacted me to review their product. I still get excited today, but I now realize just how much work a product review can be! I really believe that bloggers should be compensated for their time for product reviews more often. I believe compensation doesn't always have to be money, but you should get something you feel is worth your time and work. 4a What lessons have you learned this year - from other blogs, or through your own experience - that could help us all with our own sites? Well, I've learned so much and like to help out when I can. I think one big piece of advice I have is to make sure people can follow your blog easily! People follow blogs all different types of ways. Email, RSS feed, bloglovin, and social media. Make these following options easy for people to find and use on your blog! 4b. If you could ask the pet blogging community for help on one challenge you're having with your blog, what would it be? Right now, I am struggling with the business aspect of my blog. I need to learn to say no more often and not be scared to ask for more if I feel I'm worth it. 5. What have you found to be the best ways to bring more traffic, other than by writing great content? Social media. I love social media and have tried just about everything now. I am still learning how to use it effectively, but it's a great way to bring traffic to my blog. I also like Triberr. I think great photos and images are another great way to draw people into a blog post. 6. How much time do you spend publicizing your blog, and do you think you should spend more or less in the coming year? I spend a lot of time on social media. Too much, probably. The thing is, I feel like I can't sit down and write a nice post when my human baby is up and running around. I usually try to do my writing late at night or during her naptime. But I don't mind getting on social media when she's awake. I can easily check Facebook or Twitter here and there throughout the day when she's up, so I spend more time there than I do actually working on my blog. I need to spend less time this year on social media. 7a. How do you gauge whether or not what you're writing is appealing to you're audience? Comments. If the comments are plentiful and from people I've never seen at my blog before, I feel like the post must have been good. Also, if I see that the post was shared on Twitter by a lot of different people. 7b. How do you know when it's time to let go of a feature or theme that you've been writing about for awhile? I used to write "Social Pet Saturday", which was a collection of blog posts I found interesting throughout the week. While I thought this was fun, it became too overwhelming for me to keep up with effectively. I had to write the posts last minute and I just became tired or bored with it I guess. If you're not enjoying doing something anymore, why do it? 8. When you're visiting other blogs, what inspires you to comment on a post rather than just reading and moving on? I try to leave a comment on most of the blogs that I visit each day. There are sometimes when I don't comment, and maybe that reason is that I feel "distant" from the author of the post. It's hard to explain. 9a. Do you do product reviews and/or giveaways? 9b. If so, what do you find works best, and what doesn't work at all? This year, I am working on paid product reviews. I don't feel like working for free that often anymore. I'm sure there will be exceptions to this, however. I don't like doing giveaways unless the company ships out the prize to the winner. That's money out of my pocket, plus a free review and hours, days, or weeks of my free time. This product review is fun! I also like doing a giveaway with a product review. I think it's more fun when I can talk about a product and give my readers the opportunity to win one for themselves. 10. 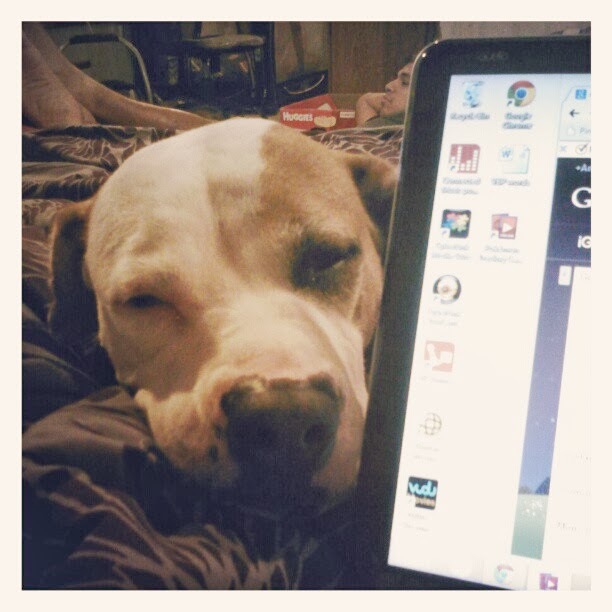 When writer's block strikes and you're feeling dog-tired, how do you recharge? I try to write posts in advance, so I stay ahead of the game. Although, lately this just hasn't been happening! If I can't think of something to post for the day, then I won't force it. 11a. Have you ever taken a break from your blog? How did that go? 11b. Have you ever thought about quitting your blog altogether? What makes you stay? No, not really. I stay because I love it. :) I love the community and because I don't have a "normal" job, it gives me a purpose I guess you could say. It is my job, and it's fun! 12. What goals do you have for your blog in 2014? Continue to grow and make new blogging and pet-loving friends. Learn how to write better and more engaging posts. Learn how to be more engaging on social media. Learn how to monetize better and more often. Include better images with my blog posts. If you have any tips for my blog, feel free to leave them in the comments! 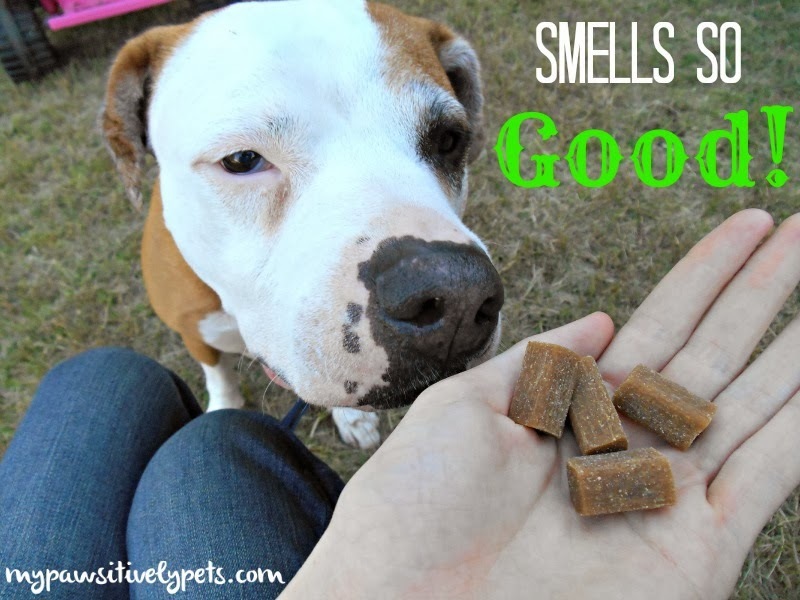 And of course, thank you to GoPetFriendly and Will My Dog Hate Me for hosting the 2014 Pet Blogger Challenge! I really have no tips for you because I'm continually blown away watching your blog just get better and better. I love your mix of topics and post and, though I really miss your Social Pet Saturday, I totally support your decision to discontinue it. Those are admirable goals for 2014 and I have zero doubt you'll achieve them. We love your blog JUST THE WAY IT IS! Just keep doing what you've been doing and when you feel a "need" to change something do it because YOU want to......! I really need to step up on my pet health posts again. They are hard because they require concentration and research (sometimes). Something I have to do when I have my full focus on writing. I wasn't going to join this hop this time, but I'm enjoying everyone else's so much I think I will do one later today (good thing they left it open for those of us who are often a day behind!). You're doing great, Ann, and I think your blog is special because you write about all kinds of animals. Thank you Jan. It's hard for me to think of why my blog is unique... but perhaps the plethora of animals I write about is one of the reasons. Ann I think you summed up SOOO many things that I have been thinking. I think I remember teasing you about being excited for your first product review(s) (I was too, now sometimes I cringe lol!!) for the reasons that you mentioned. I am planning on doing what you are doing too, charging (in most cases, but like you, not all).......because product reviews are incredible time eaters. I also made a policy of no review if no give-away. I don't like showing a product and not offering my readers a chance to win it, if feels so one-sided the other way. (there have been a couple of reviews with no give-away attached but not many). You don't give enough credit to "Social Pet Saturday" I think when you started it it was brilliant and helped to grow this blog in the early days. I think you are being much too modest on your accomplishments with this blog, I remember sharing you in the early days on twitter and my fan pages saying "do you know this blog?" because you WERE and ARE that GOOD! 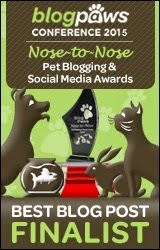 I also had nominated you for "best all around pet blog" which I intend to do AGAIN this year. I hear ya about "being afraid" to ask for more, but you shouldn't be afraid, you are WORTH IT. I am sorry I wrote a book in this comment, I just think you were overly modest in your assessment of yourself and your accomplishments, but that is yet another part of your personality/blog that makes you so delightful, you aren't pompous or full of yourself. Love you and love your blog! I, too, have loved watching your blog grow and really enjoy your articles. I am not truly a pet blogger, although I write a lot about my guys, and am always impressed by the variety in your blogs. It's not easy writing consistently...every day...but you make it look that way with all your interesting topics. Keep up the great work!! Thank you Christie! I am glad I am making it look easy, because lately it has been hard to keep up with! LOL... I think you have a nice mixture of things on your blog and they fit well with your business. It is interesting to see your blog move from a hobby to a business. Best of luck with that in 2014! Thank you Done. I did get your email, but as usual I am behind in replying to emails! Going to work on that soon though. I think you have done amazingly well for one year. You have a natural talent for writing engaging stories. You just need to keep at it. And yes, don't do reviews for free. The companies out there need to get that message, then we will all benefit. Maybe we should start like a coalition? LOL... hmmm that would be an interesting idea. Wonder how something like that would work? Wow I love learning more about yourself in the blogging world! I love your blog, u know that! And reading your accomplishments is great! This is a great hop, and a good way to learn from each other to! "Love is being owned by a husky"
I can't keep mine clean either! Of course, every time I clean it the baby terror comes and destroys it! She is much messier than my first daughter and will get into EVERYTHING! So that keeps me very busy. I'm struggling right now until I can get my laptop screen fixed. I can only sit in one place to work at the moment, and it's killing me! This was so much fun to read!!! I've loved following these features...I missed the deadline and had really wanted to do something. Maybe I'll do something anyway! You have a WONDERFUL blog, Ann. I really admire your breadth of topics. It's very refreshing. Since I mostly follow cat blogs, I love it when I can learn something new about (shhhh don't tell the kitties!) other kinds of animals and pets. As a fellow blogger, I completely mirror your thoughts on product reviews. When I realized all of the hours I was putting into well thought out posts, photos, sharing, I started to do the same. 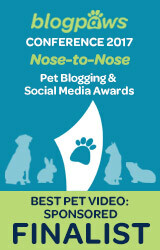 I'm thrilled to see more and more pet bloggers being valued for their work. In fact I read something recently, though it escapes me what kind of business is was, but it was an interview with a seller on Etsy. She said that her most successful marketing came through bloggers with review posts and giveaways. I wanted to reach through my computer screen and hug her! Keep up the pawsitively awesome work! I hope to meet you in-the-fur at Blog Paws! ...oh, and I think your blog header is really cool too. Aw thank you! I think the hop is still open for like 5 days or something. You do some wonderful product reviews and if I were a company, I would pay a lot of money for you to do a review! I hope that I can one day meet you in the fur too, along with a lot of other people. Hehe thanks Austin! I am having some trouble too. I am starting to get caught up this past week. Hopefully I can stay that way, because I need to catch up on some writing! We enjoy reading your blog and liked reading your answers to these questions. We know how you feel about doing product reviews. We too got real excited when asked to review something. And we felt that being given the product to try was the payment. But, you're right, it is time consuming to do...we mean, eating all those treats and letting the mom take pictures of us doing it can be hard work! ;) We don't really blog to try to make money, so now we're just more particular about what we review and therefore, really haven't done many lately. We wish you and your blog much success this coming year...and beyond! If you kitties are happy doing a review for the treats, then I think that is just fine! As long as you are happy with the compensation you receive, that is all that matters. 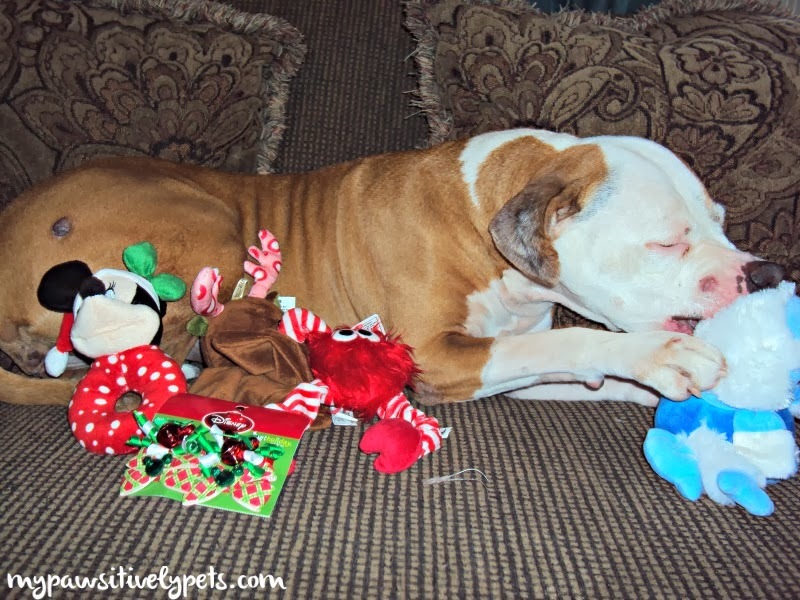 :) I just have so many dog treats that I am running out of places to put them! So interesting to read your interview and all the comments. I'm thinking hard on where I want to go with my blog. Can't believe your blog is only one year old! Wow! That's so amazing. I did reviews on my American dog blog, too, because I was so excited that someone wanted me to do one. But you're right, it is a lot of work. I've allowed guest bloggers, too. But I'm rethinking whether that is such a good idea or not. The guest blogger thing is also an obstacle for me. I don't mind, but I just wish I got more requests from genuine bloggers in the pet blogging community. Or even outside of it. We think your blog is just fine just like it is. Very informative and well written. We enjoyed hearing your answers to the questions. Thank you very much Marg :) I don't plan to make too many changes. Except for improvement because there is always room for that! We haven't been following you for that long, but we love your blog and the variety with the pets. You are right about saying no. That is one thing we started doing last fall, and while it is hard at first, we feel much better only participating in things we really want to participate in. We rarely have a guest post and we only review things we might really like and use. 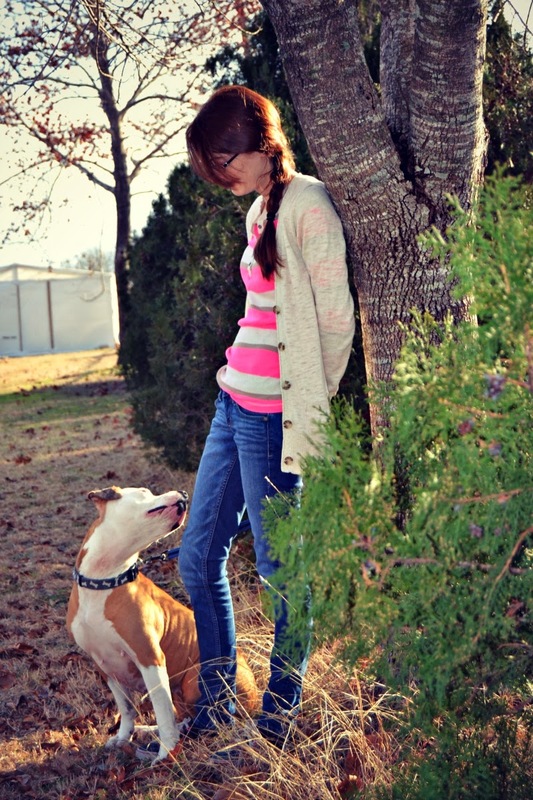 I don't mind guest posts, but I just wish there were more requests from genuine pet bloggers. I've recently edited my guest post page to say that I don't accept posts from content writers. I'm also able to turn some requests from companies into sponsored posts. I am learning Sugar! I am so glad to have connected with you as well. Wow! I thought I was the only one who wrote in advance! It takes so much of the pressure off and allows me to spend more time promoting my blog. So cool! Hi Ann, we love your blog too. I stay at home too with our two dogs and take care of everything! Blogging gives me an outlet to share stories with others as well as bringing them into my little piece of my world! I would not give up blogging for anything! Blogging is wonderful :) Thanks Nikita! Loved reading this post - it's nice to get to know more about you and it's really nice that you share your feelings, challenges and fun of blogging. I love blogging too and figuring out where to take it as a business...and walking the line between pushing where it goes and it being creative, organic...and yes, fun! Just discovered your blog Ann! (via Twitter) Love everything about it! Enjoyed reading the blogger challenge. I finally have some time to catch up...lol. I enjoyed reading your answers. :) Congrats on a successful year. I think I must be doing my product reviews all wrong. 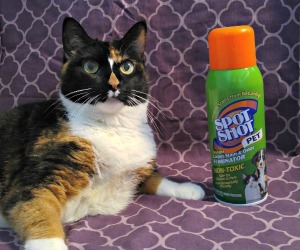 I read up on the product, snap a picture or three and post. My product reviews probably take less time than my regular posts. I have read many places that bloggers feel they take a lot of time. I guess I need to kick up my reviews a notch. :) I do agree about having to spend money to ship out give-aways. That I would not agree to do. I don't think you are doing your reviews wrong at all. Maybe that's what I need to start doing for unpaid reviews!